Lake George is a scenic lake located within the beautiful Beachport Conservation Park in Beachport, a tiny coastal town in South Australia. 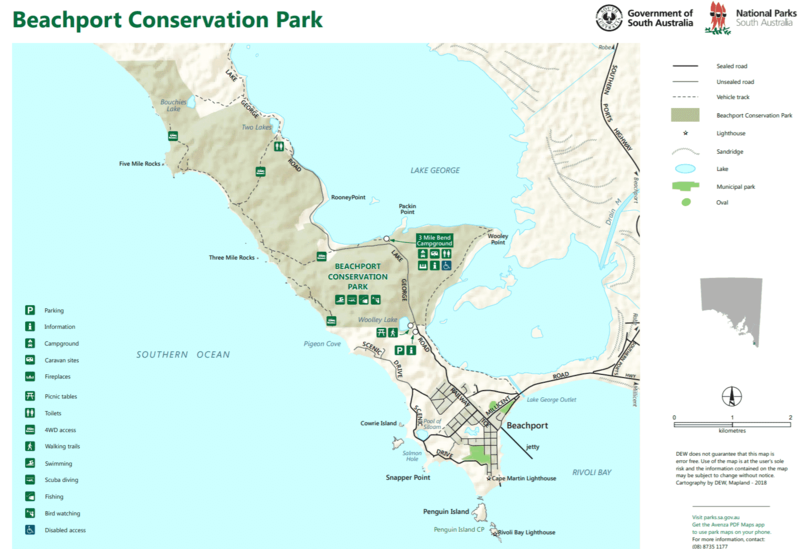 The park is renowned for its pristine beaches, beautiful coastlines, and diverse flora and fauna that continue to attract nature lovers all year round. The park, which was established in 1959, has undergone reclamation over the years with the aim of preserving the region’s coastal environment. With its great biodiversity, it is little wonder that visitors come and visit from all over the country. One of the most amazing things about Lake George is its amazing birdlife. Exploring the nature trails around the lake gives visitors the unique opportunity to enjoy bird watching. If you are lucky, you may get a glimpse of the orange bellied parrot, a rare species even in this part of the world. The parrot thrives along the beach and coastal marsh. The trails around the lake offer excellent views too, and these areas are ideal for photo opportunities to remind you of your unforgettable holiday. It certainly is an idyllic location for the whole family, and the little ones will appreciate the outdoor space to run around and play. After a day of walking and exploration around the lake, end the adventure with a delightful picnic along the lake’s shores. Bring your picnic blanket, your favourite snacks, and enjoy a serene afternoon overlooking the lake’s waters. If you’d like to enjoy this serenity for a longer period, why not stay for a night or two? 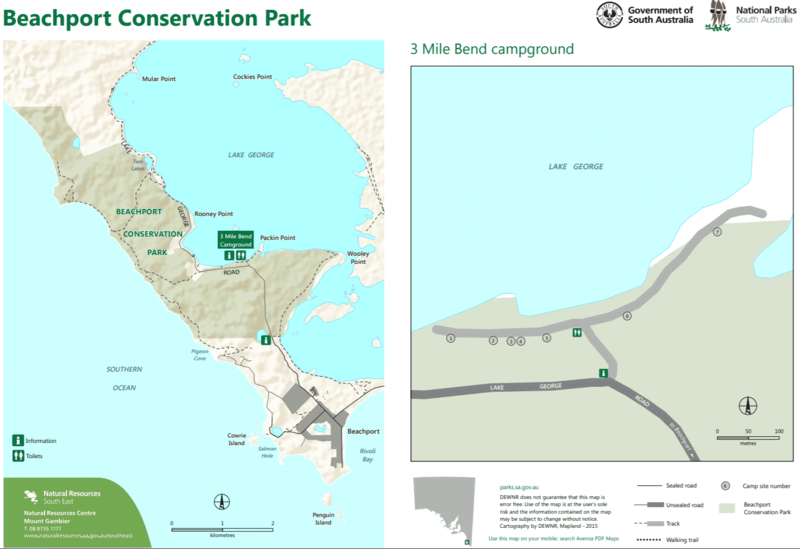 Look out for 3 Mile Bend Campground, a beautiful camping site located just three kilometres away from Beachport. The grounds are accessible using Lake George Road. The campsites features seven areas open for campers to stay, which are located on the edges of the lake and can be reached easily using cars. The camp sites vary in size, but are all ideal for caravans with each site located below trees, which offer protection from strong winds and shade from the sun. Note that Lake George is salty, and is therefore not ideal for swimming but is perfect for bird watching. Make plans to visit the lake whenever you are in Mount Gambier.